Processing is lawful, fair, transparent. Our Processing activities have lawful grounds. We always consider your rights as a Data Subject before Processing Personal Data. We will provide you information regarding Processing upon request. Processing is limited to the purpose for which it was gathered. Processing is carried out using the minimum amount of Personal Data required for any purpose. We will not store your personal data for longer than needed. We will use all reasonable means to avoid Breaches of Data. Where a Data Breach occurs, we will notify the relevant authority and follow their instructed next steps. Right to access: the right to request, access and copy of the personal information that we hold on you. We may charge a reasonable fee for 2 or more personal data requests. A single copy of personal data will be charged at no cost. Any access requests will need to be requested in writing or email. Evidence of identification will be required as this makes sure that the personal information is not given to the wrong person. Information will be sent within 1 month of receipt of the written request. Right to rectification: the right to have personal data rectified if it’s incorrect, out of date or incomplete. Right to be forgotten: the right to withdraw consent given to process data and the right to request that we delete personal data from our System (subject to compliance with any legal obligations or unless the data is required for any legal claims). The right to object how we use the personal data received (e.g. marketing purposes). Any data processed on our behalf by contracted third party service providers, e.g. for the purpose of enhancing the services we provide to you will be bound by the same privacy standards. We will not disclose Personal Data to any other third parties unless we have consent to do so. We will disclose Personal Data if it is believed in good faith that we are required to disclose it in order to comply with any applicable law, a summons, a search warrant, a court or regulatory order, or other statutory requirement.  You can choose to opt out of receiving information from us at any time by contacting the Diocesan Secretary at admin@tuamarchdiocese.org or by telephone 093 24166. Whilst you do not need to allow your browser to accept cookies in order to browse much of our web site or to access many of our services, you must have cookies enabled if you wish to access any areas reserved for registered users. Most browsers allow you to turn off the cookie function. If you want to know how to do this please look at the help menu on your browser. As described above this will restrict the services you can use on our website. Last update published May 2018.